A powerful player capable of handling almost all kinds of videos. 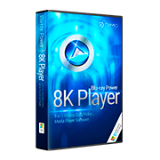 Dimo 8K Player 4.2 was available as a giveaway on August 5, 2018! How would you improve Dimo 8K Player 4.2? Registering also fast and quick. A MP4 of 1920 played good, but a UHD of 3840 played very badly, cracking sound and slow picture, even on 1000% speed. Without asking or saying it becomes the default player in Windows. But more important: how do you control this program? Most player can go a step/scene forward or backward. How can this be done in this program? And where are the instructions? Developer: please make a handout for this. And are there any Setting, such as the default map for GIF, recording, snaps? Very nice the program can make a GIF of 30sec., but it not easy to pick the right scene. The last I did was recording and viewing the result. Afterwards I could not return to the normal screen. Also I could not end the session of Windows in a normal way. I did have to use the power-button(4 sec.). "Dimo 8K Player 4.2" This program installs normal. Registering also fast and quick. A MP4 of 1920 played good, but a UHD of 3840 played very badly, cracking sound and slow picture, even on 1000% speed. Without asking or saying it becomes the default player in Windows. But more important: how do you control this program? Most player can go a step/scene forward or backward. How can this be done in this program? And where are the instructions? Developer: please make a handout for this. And are there any Setting, such as the default map for GIF, recording, snaps? Very nice the program can make a GIF of 30sec., but it not easy to pick the right scene. The last I did was recording and viewing the result. Afterwards I could not return to the normal screen. Also I could not end the session of Windows in a normal way. I did have to use the power-button(4 sec.). Does anyone know how or where the Registration Key gets entered? Nowhere on Dimo's site or in the program is there even the slightest clue. I have never encountered a software program before that was as poorly designed as this. Thank you to anyone that can help!!! Does anyone know how or where the Registration Key gets entered? Nowhere on Dimo's site or in the program is there even the slightest clue. I have never encountered a software program before that was as poorly designed as this. Thank you to anyone that can help!!! Uninstall the software and reinstall it to see the opening pop-up to enter the code, try [ Alt ][Tab ] in case it's behind something. Or just uninstall the programs and be happy.
. [ Susan ], Uninstall the software and reinstall it to see the opening pop-up to enter the code, try [ Alt ][Tab ] in case it's behind something. Or just uninstall the programs and be happy. .
May thanks for your prompt solution!!! Peter Blaise, May thanks for your prompt solution!!! No matter how many times I uninstall and then reinstall this program, no screen appears for the entry of a serial number. Sadly, I've never encountered software so poorly designed!!!! Peter Blaise, No matter how many times I uninstall and then reinstall this program, no screen appears for the entry of a serial number. Sadly, I've never encountered software so poorly designed!!!! 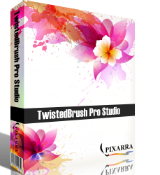 Try the rest of Media Dimo Studio stuff. Uninstalling and leaving it at that worked for the rest of us.
. [ Susan ], Never? ; - ) Try the rest of Media Dimo Studio stuff. = 8 ^ o Yes, we should have a Hall of Shame for some programmers Uninstalling and leaving it at that worked for the rest of us. __________ PS -- We can also try 100% fonts, not 125% or other, try native display resolution, try rebooting in [ Safe mode with newtworking ] ... .
UltraHD (4K) playback *ONLY* works on Windows 10, and *ONLY* works if you have a latest-generation Intel (7th generation, "Kaby Lake") CPU. So I will pass on this as I have no interest in Blue-ray or 4K and my laptop is a quite fast i3. UltraHD (4K) playback *ONLY* works on Windows 10, and *ONLY* works if you have a latest-generation Intel (7th generation, "Kaby Lake") CPU. So I will pass on this as I have no interest in Blue-ray or 4K and my laptop is a quite fast i3. So this program can play a file on a PC copied from a 4K Ultra Blu-ray player? So you will have a 50GB file on your PC. or 1366 x 768 to fit the pixels on the screen. But you could get a 1080 version of the film, DVD or download, with a much smaller file size and watch it with VLC. Why watch a 4K Ultra Blu-ray on your PC? Put it on your 55" TV. So this program can play a file on a PC copied from a 4K Ultra Blu-ray player? So you will have a 50GB file on your PC. But your 15.6" PC takes the raw resolution and scales it down to 1920 x 1080 or 1366 x 768 to fit the pixels on the screen. But you could get a 1080 version of the film, DVD or download, with a much smaller file size and watch it with VLC. Why watch a 4K Ultra Blu-ray on your PC? Put it on your 55" TV. Video frame or display size is irrelevant for most all currently developed Windows software players -- they just decode & play the video, sending the result off to the portion of Windows that handles the display. DVD & Blu-ray video discs each have a special format of storing video files and presenting menus & extra features. Not every player understands one or both formats so that you don't have to copy the video to a separate file. Blu-ray capable players that don't pay the Blu-ray organization for licensing don't work with the Java-based menus & features on Blu-ray video discs -- the free Leawo player may be the exception, but that requires installing Java, which I haven't done, so I've no idea personally if or how well that end of things works. The Blu-ray licensing agreement requires players to support Cinavia, which is a method of DRM added to the recorded audio [like an inaudible subliminal message] that cannot be bypassed like other types of DRM, so players like the Dimo 8K Player have an advantage if you wanted to play a copy of a Blu-ray video that contained Cinavia. Depending on your hardware, you *may* find it allows bypassing some other methods of DRM, like only being able to use HDMI audio. There are a few other areas where software video players can differ from one another... The most obvious is the GUI, which may be simplified to work better with a TV-type remote, e.g. Kodi, or offer more controls &/or options etc. Many players surprisingly do not have a good way to toggle between full screen & windowed displays... I find VLC terribly annoying since it opens a HD video in a HD-sized window that is partially off-screen. The Leawo player goes to full-screen nice & easy, but can be a big hassle if you don't remember to go back to windowed mode before you close it when the movie's done. Another area where players differ is in their subtitle capabilities -- what types they'll display, how they'll display them, and what settings are available to change things like size. I couldn't find anything on the Dimo site other than their 8K Player can display subs. A TV usually includes electronics to enhance the video picture -- PC monitors & Windows itself do not. This sort of enhancement can be done using software, either stand-alone, e.g. madVR & LAV Filters, or incorporated in the player's software. This is one of PowerDVD's claims to fame & has made MPC-HC popular, but I don't see any mention on Dimo's site. That said, enhancing the picture in software can have hardware requirements that not every PC or laptop can meet. UHD &/or HDR video can seem to make things more complicated, in part because marketing often misrepresents what they really mean, in part because there are competing HDR standards [think back to the Blu-ray format war], & in part because how HDR is implemented by different displays varies, so that many don't really know what to expect. Technically the only big software hurtle to HDR playback is the Dolby version of HDR costs $. Practically speaking the biggest hurtle comes from the lack of content. The perhaps unrealistic demands of 4k Blu-ray DRM for Windows is a major reason why there's a lack of both content & 4k Blu-ray drives, while the reduced bandwidth necessary for streaming 4k video reduces the quality roughly to conventional Blu-ray levels. Video frame or display size is irrelevant for most all currently developed Windows software players -- they just decode & play the video, sending the result off to the portion of Windows that handles the display. DVD & Blu-ray video discs each have a special format of storing video files and presenting menus & extra features. Not every player understands one or both formats so that you don't have to copy the video to a separate file. Blu-ray capable players that don't pay the Blu-ray organization for licensing don't work with the Java-based menus & features on Blu-ray video discs -- the free Leawo player may be the exception, but that requires installing Java, which I haven't done, so I've no idea personally if or how well that end of things works. The Blu-ray licensing agreement requires players to support Cinavia, which is a method of DRM added to the recorded audio [like an inaudible subliminal message] that cannot be bypassed like other types of DRM, so players like the Dimo 8K Player have an advantage if you wanted to play a copy of a Blu-ray video that contained Cinavia. Depending on your hardware, you *may* find it allows bypassing some other methods of DRM, like only being able to use HDMI audio. There are a few other areas where software video players can differ from one another... The most obvious is the GUI, which may be simplified to work better with a TV-type remote, e.g. Kodi, or offer more controls &/or options etc. Many players surprisingly do not have a good way to toggle between full screen & windowed displays... I find VLC terribly annoying since it opens a HD video in a HD-sized window that is partially off-screen. The Leawo player goes to full-screen nice & easy, but can be a big hassle if you don't remember to go back to windowed mode before you close it when the movie's done. Another area where players differ is in their subtitle capabilities -- what types they'll display, how they'll display them, and what settings are available to change things like size. I couldn't find anything on the Dimo site other than their 8K Player can display subs. A TV usually includes electronics to enhance the video picture -- PC monitors & Windows itself do not. This sort of enhancement can be done using software, either stand-alone, e.g. madVR & LAV Filters, or incorporated in the player's software. This is one of PowerDVD's claims to fame & has made MPC-HC popular, but I don't see any mention on Dimo's site. That said, enhancing the picture in software can have hardware requirements that not every PC or laptop can meet. UHD &/or HDR video can seem to make things more complicated, in part because marketing often misrepresents what they really mean, in part because there are competing HDR standards [think back to the Blu-ray format war], & in part because how HDR is implemented by different displays varies, so that many don't really know what to expect. Technically the only big software hurtle to HDR playback is the Dolby version of HDR costs $. Practically speaking the biggest hurtle comes from the lack of content. The perhaps unrealistic demands of 4k Blu-ray DRM for Windows is a major reason why there's a lack of both content & 4k Blu-ray drives, while the reduced bandwidth necessary for streaming 4k video reduces the quality roughly to conventional Blu-ray levels. Their website states "Dimo Software, Inc. specializes in multimedia software and helps more than 30 000 000 great users all over the world to have a much easier and better digital life!" Based upon the continued under performing of their offerings I can only guess that nearly all of them were use of trials because there is no way that anybody would want to use their products based upon the quality of the competition alone. And you only have to look at the comments on here every time there is a Giveaway to see why. Clearly the company is not interested in listening and I see no value to this site to keep promoting them until they address the continuing issues. Their website states "Dimo Software, Inc. specializes in multimedia software and helps more than 30 000 000 great users all over the world to have a much easier and better digital life!" Based upon the continued under performing of their offerings I can only guess that nearly all of them were use of trials because there is no way that anybody would want to use their products based upon the quality of the competition alone. And you only have to look at the comments on here every time there is a Giveaway to see why. Clearly the company is not interested in listening and I see no value to this site to keep promoting them until they address the continuing issues. Love GOTD site. I used this site for years to test out apps. This is my first review. This particular media player (Dimo 8K Player 4.2) has some pros and cons. Its a good very "Basic" player for BluRays. I was able to play the main BD movie fine, but couldn't figure out how to play the menus & extras & such. There is no equalizer option to adjust audio. Daum's "PotPlayer" is much better for non BD files. "PotPlayer" is totally free & they offer a 32 bit & 64bit version here: https://potplayer.daum.net/. It has lots of "bells and whistles" to adjust audio, video & tons of other things. If you like to "tweak" your viewing experience, Potplayer is for you. Unfortunately, Potplayer does not have BD support. I placed the Dimo player onto my HP Envy laptop with Beats audio with a BD drive & it works great. Good quality picture and sound. If you just want a basic player to play Blu-rays, get this software. If you want the "full experience" get PotPlayer. Where do you input the serial number - and why not part of a pull-down menu? The "8K" in the name is just a teaser to claim that they were a market leader, most screens are below 3K, see [ https://en . wikipedia . org/wiki/List_of_common_resolutions ] for comparisons. Note that their 8K player "standard" won't even play disks, not even 4K Blu-ray, and it is FREE anyway, no giveaway required ... so what's special about today's giveaway? After installation, I see Blu-ray and DVD in the menu ( "menu" = click the arrow-in-a-box ), but there is no [ Help ], [ About ] to confirm which version is in today's giveaway -- Pro or not? I also see "Open URL", and that's only in the Pro version, so I guess today's giveaway is the $70, no, $46, no $16 'Pro' version. GOOD THING: It's nice that it can take a JPEG of any on screen image, though it's hard to move frame by frame to select which frame to "snap". That's the ONLY good thing I could find. It can me maximized and tap [ F11 ] to hide non-video content ( hide Windows and program controls ). Very jittery, can't handle video smoothly ( see test video details below * ). I'm curious about what matters to each of us, and what player we each have found that makes us most happy? ... I have also tuned my display to be a neutral as possible, and so any adjustment to a video for my display would hardly transfer to another display. For me, FREE VLC from [ VideoLAN .org ] is hard to beat, and I use FREE Classic Media Player from [ CoDecGuide . com ] next most often. MediaDimo Dimo Studio 8K Player was Jittery on a test video from YouTube that other players perform flawlessly. Using an old 2260 MHz x 2, Win 7-64, 4 GB 388 MHz ram, Mobile Intel 4 Series Express Display Chipset, 1,680 x 1,050 display. Here's the test video information, just so you know.
. The "8K" in the name is just a teaser to claim that they were a market leader, most screens are below 3K, see [ https://en . wikipedia . org/wiki/List_of_common_resolutions ] for comparisons. Note that their 8K player "standard" won't even play disks, not even 4K Blu-ray, and it is FREE anyway, no giveaway required ... so what's special about today's giveaway? After installation, I see Blu-ray and DVD in the menu ( "menu" = click the arrow-in-a-box ), but there is no [ Help ], [ About ] to confirm which version is in today's giveaway -- Pro or not? I also see "Open URL", and that's only in the Pro version, so I guess today's giveaway is the $70, no, $46, no $16 'Pro' version. GOOD THING: It's nice that it can take a JPEG of any on screen image, though it's hard to move frame by frame to select which frame to "snap". That's the ONLY good thing I could find. It can me maximized and tap [ F11 ] to hide non-video content ( hide Windows and program controls ). Very jittery, can't handle video smoothly ( see test video details below * ). It's the other capabilities of any video player that may or not be useful and competitive, compared especially to FREE VLC and Classic Media Player and others, such as -- automatic subtitle download, -- expansion to full screen, -- expansion of any video, especially letterbox to touch the screen edge, -- fine speed adjustments, -- ability to sync and resync subtitles, -- frame-to-frame smoothing, -- sound leveling, -- peak limiting, -- dynamic range expansion for image and sound, -- noise reduction, -- multi-speaker discrimination, -- synthesis of back channels from stereo, -- ability to capture video, -- ability to convert video, -- ability to save video, sound, and subtitles together as one new file in any format, ... and so on. I'm curious about what matters to each of us, and what player we each have found that makes us most happy? I want: -- a video to maintain aspect ratio, -- to the software to intelligently offer corrections to an errant aspect ratio, -- sound leveling, -- subtitles, -- auto subtitle download and aids to sync subtitles, -- re-saving subtitles together with the video and audio into a new file, ... though I'm finding subtitles at specialized web sites, and I always rip video discs with subtitles in the frame, -- I like fine speed adjustments, ... and I can use a separate video enhancer to make a flat movie more dynamic, -- but controls during playback that are remembered for each video would help, ... I have also tuned my display to be a neutral as possible, and so any adjustment to a video for my display would hardly transfer to another display. For me, FREE VLC from [ VideoLAN .org ] is hard to beat, and I use FREE Classic Media Player from [ CoDecGuide . com ] next most often. \\\\\\\\\\\\\\\\\\\\\\\\\\\\\\\\\\\\\\\\\\\\\\\\\\\\\\\\\\\\ MediaDimo Dimo Studio 8K Player was Jittery on a test video from YouTube that other players perform flawlessly. Using an old 2260 MHz x 2, Win 7-64, 4 GB 388 MHz ram, Mobile Intel 4 Series Express Display Chipset, 1,680 x 1,050 display. Here's the test video information, just so you know. -- jittery in 8K player, -- smooth in FREE Media Player Classic, smooth in FREE VLC, smooth even in FREE IrfanView, for criminy's sake! : Format : MPEG-4 Format profile : Base Media Codec ID : isom (isom/iso2/mp41) File size : 187 MiB Duration : 4 min 33 s Overall bit rate mode : Constant Overall bit rate : 5 747 kb/s Writing application : Lavf57.20.100 Video ID : 1 Format : MPEG-4 Visual Format profile : Simple@L1 Format settings, BVOP : No Format settings, QPel : No Format settings, GMC : No warppoints Format settings, Matrix : Default (H.263) Codec ID : mp4v-20 Duration : 4 min 33 s Bit rate mode : Constant Bit rate : 5 584 kb/s Width : 1 920 pixels Height : 1 080 pixels Display aspect ratio : 16:9 Frame rate mode : Constant Frame rate : 25.000 FPS Color space : YUV Chroma subsampling : 4:2:0 Bit depth : 8 bits Scan type : Progressive Compression mode : Lossy Bits/(Pixel*Frame) : 0.108 Stream size : 182 MiB (97%) Writing library : Lavc57.17.100 Language : English Audio ID : 2 Format : MPEG Audio Format version : Version 1 Format profile : Layer 3 Format settings : Joint stereo / MS Stereo Codec ID : mp4a-6B Duration : 4 min 33 s Bit rate mode : Constant Bit rate : 160 kb/s Channel(s) : 2 channels Sampling rate : 48.0 kHz Compression mode : Lossy Stream size : 5.21 MiB (3%) Writing library : LAME3.99.5 Language : English Default : Yes Alternate group : 1 . ...'almost' all kinds of videos ...'could' play they don't even sound confident of their own software themselves... another joke right ? Like most, if I see a >67% negative vote I'll pass. However, I did spend a little time with this because as a contrarian I was intrigued by the near unanimous negative commentary. This is what I discovered. * It played some .iso and vob files that I normally have difficulty with. * It played iso mounted blue rays when VLC would not. * Clarity was exceptional but only on my i4790 chip. Perhaps, it was too much to ask for stutter free playback on my old Duo E8400. * Blu-Rays often cause playback problems so I like to have a backup program that can do the job. * Sophos a/v premium flagged it as having the trojan virus "Lockdown". Could be a false positive but perhaps the developers could comment, clarify, or refute. * Minor bug in sub-title playback. * Other minor bugs such as ability to Fast Forward. I'm going to archive a Reflect image with the program until the "lockdown" concern is resolved. Like most, if I see a >67% negative vote I'll pass. However, I did spend a little time with this because as a contrarian I was intrigued by the near unanimous negative commentary. This is what I discovered. What I liked * It played some .iso and vob files that I normally have difficulty with. * It played iso mounted blue rays when VLC would not. * Clarity was exceptional but only on my i4790 chip. Perhaps, it was too much to ask for stutter free playback on my old Duo E8400. * Blu-Rays often cause playback problems so I like to have a backup program that can do the job. What I didn't like * Sophos a/v premium flagged it as having the trojan virus "Lockdown". Could be a false positive but perhaps the developers could comment, clarify, or refute. * Minor bug in sub-title playback. * Other minor bugs such as ability to Fast Forward. Bottom Line: I'm going to archive a Reflect image with the program until the "lockdown" concern is resolved. David, Been using VLC forever. Great player. 8k is easy.... just put two 4k monitors or tvs together... you now have 8k wide by 2k tall.... you can make 16k and connect four 4k monitors together..... it just means pixel count plain and simple. what do you "play" on that(in videos that is................... idk. 8k is easy.... just put two 4k monitors or tvs together... you now have 8k wide by 2k tall.... you can make 16k and connect four 4k monitors together..... it just means pixel count plain and simple. what do you "play" on that(in videos that is................... idk. should include free hardware for demonstration purposes along with the wood nickles ..and back door keys ..
MikeR, I don't know why you think this video player has "considerably evolved". I would have expected that by this time of version 4.2 it ought to be able to handle 16K. Come on, Dimo, you can do it. MikeR.... play Blu-ray ISO file......That should explain Dymo how that works. MikeR, Hey wait! You wrote $30,000 televisions? A 100" Sony 4K television is selling for $59,999.99 at Best Buy. Where did you get that $30,000 figure? I might have been jipped! ilikefree, quite possible... reminds me of the Chinese 20W + 20W 12V amplifier that the marketers chose to call it 500W High power stereo amplifier. "500W" was the brand name and "High power stereo amplifier" was the product name. Apparently perfectly legal in China to have deliberatly misleading brand and product names! We do have one or two misleading brand names here where a brand includes "professional" in the name despite the entire product line specificly stipulates it is for domestic use only or not suitable for commercial use. "Crofton Professional" often sold in Aldi comes to mind. ilikefree, quite possible... reminds me of the Chinese 20W + 20W 12V amplifier that the marketers chose to call it 500W High power stereo amplifier. "500W" was the brand name and "High power stereo amplifier" was the product name. Apparently perfectly legal in China to have deliberatly misleading brand and product names! We do have one or two misleading brand names here where a brand includes "professional" in the name despite the entire product line specificly stipulates it is for domestic use only or not suitable for commercial use. "Crofton Professional" often sold in Aldi comes to mind. YouTube has 8K content, see [ https :// www . engadget . com/2015/06/10/youtube-8k-video/ ].
. [ Richard Sebire ], YouTube has 8K content, see [ https :// www . engadget . com/2015/06/10/youtube-8k-video/ ]. .
Richard Sebire, only decent application I can currently see for 8K content is full 360 degree in all axis spherical immersive videos.